Now that you know the power of surveys, your want to use them all the time, right? The wealth of information available through customer surveys is tempting. But you can have too much of a good thing. Just like eating too much ice cream can make you sick, surveys can make your customers feel sick, too. Survey fatigue happens when the survey taker becomes apathetic, bored, or just tired of the survey process. This can result in abandoned surveys, ineffective results, or inaccurate survey results. Even though it sounds like a vague concept, survey fatigue is very real. In fact, Stanford University conducted a study that found survey fatigue in three of the four survey areas measured. There are two main issues here — survey response fatigue and survey taking fatigue. This happens when your customer is prompted to take a survey and they quickly click “no thanks” followed by an eye roll and a sigh. You see, your customer was already invited by another company to take a survey today. Add that to the survey they completed yesterday and the three they’ll be prompted for next week. Surveys are a useful tool, so now it seems everyone is doing them. But consumers can get tired of taking surveys, plain and simple. This happens while your customer is actually taking the survey. If your survey questions are hard to understand or don’t apply to the customer, they’ll quickly lose interest. If your survey is just too long, your customer might zone out completely. To better illustrate how much the length of a survey affects the results, see this chart from a recent 3rd party study. It’s tempting to gather as much information as possible during a survey. But a very broad or lengthy survey might not be the way to go. Survey fatigue can mean low response rates or incomplete/incorrect survey data. In order to combat this issue, it’s important to understand the causes of survey fatigue and the reasoning behind each of them. Survey response fatigue is the direct result of over-surveying your customers. Remember, your customers do business with any number of other companies. 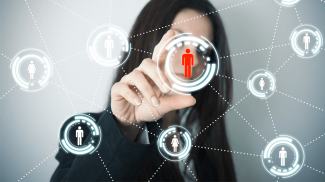 Each organization your customer interacts with could potentially survey them at some point. It’s a subtle balance every business should pay close attention to. Survey your customers frequently enough to gather good data, but don’t overburden them with constant surveys. Be strategic. Sending a general survey with vague questions after every transaction probably won’t get the feedback you’re looking for. Instead, tailor your approach. 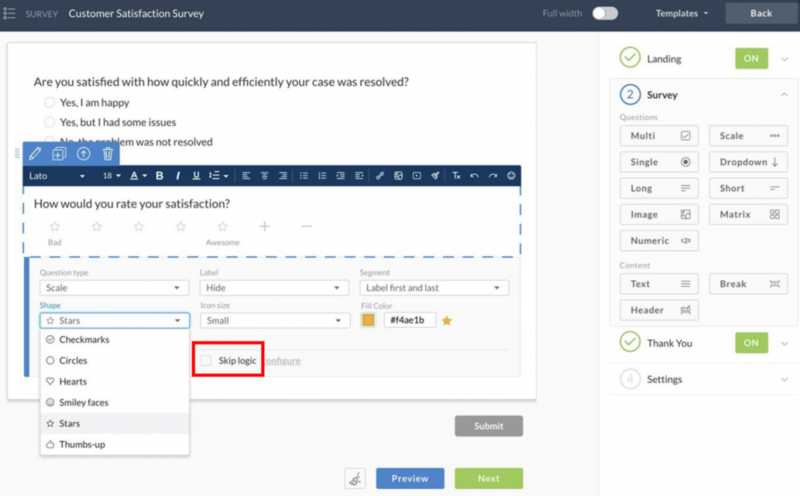 Rather than a cookie-cutter survey that’s generated for every customer/every transaction, try one survey for new customers and a different survey for customers after their third transaction. Over-surveying not only reduces the chance a customer will take your survey, it also damages your brand. Frequent survey invitations can be perceived as nagging and unprofessional. There’s no magic number of questions or length of time for the perfect survey. The length of your survey will depend on the subject matter, demographic, and the data you’re trying to gather. The general rule? Shorter is better. Naturally. A 30-minute survey versus a 3-minute survey – which one do you think will get more responses? Keep questions clear and concise. Questions that require a great deal of thought or reasoning will put a strain on the survey taker. Avoid open-ended, fill-in-the-blank questions. See the point above. These questions require too much thought on the customer’s part. They’ll lose quickly interest. Use yes/no and multiple-choice questions. Survey questions with a clear set of choices are easier to get through. You can pack more questions in a shorter time frame with yes/no and multiple-choice options. Avoid using a rating matrix. Don’t present your customer will a list of 20 items and ask them to score each on a scale of 1-10. It’s tedious, it’s hard to keep track of, and it’s a prime spot to lose your survey taker. Use skip logic. Don’t present your customers with questions that don’t apply to them. Shorten the length of your survey by using logic to automatically skip questions that don’t apply to the situation. Surveys are not tests, so don’t structure your survey questions like test questions. On a scale of 1-10, how difficult did you find our website to use after the first and second time you tried it out? Would you like to order your food before the movie, then have the food delivered during the movie or would you prefer to order your food during the movie and have it delivered during the movie? Your customer should spend time thinking about their opinion of your company, not how to decipher the question you just asked them. Keep these tips in mind when writing your survey questions. Ask a few smaller questions instead of one large compound question. Deconstruct a big issue into small, easy-to-digest parts. Make your questions clear cut. Vague questions are hard to answer. Ask direct questions about specific topics. Use easy-to-understand language. Avoid hyper-technical or industry specific words. Use language the everyday customer uses. Think of a survey kind of like a blind date. You know a little about the person, some basic stuff, but you don’t really have any personal information yet. Even though you’re curious, you don’t dive right into the sensitive questions right away. Your survey should be the same way. Asking personal questions too early in the survey can make your customer feel uneasy and shy away. How much money do you make annually? Think about your customer-base and the demographic you’re surveying, and use yourself as a guinea pig. Read the survey questions – Did you find them intrusive right off the bat? 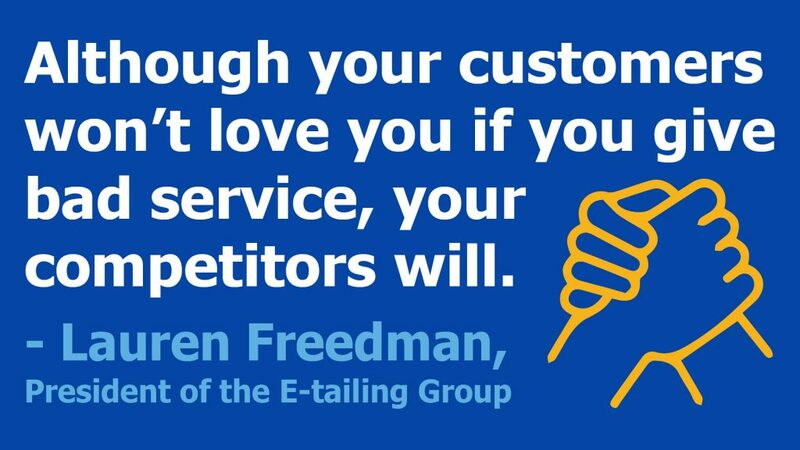 If you did, your customers will too. If you feel sensitive questions are a necessary part of your survey, consider including them toward the end. Hopefully you’ve built a level of trust with your customer and they’ll be more likely to answer. How Can You Prevent Survey Fatigue? With some planning and effort, you can do your part to prevent survey fatigue. And why wouldn’t you? Lessening the stress your customers feel during a survey means the data you get will be more accurate. It’s not just about today’s survey, it’s about all the future surveys you might send. If your customer has a pleasant experience with a quick, easy survey today, they’re a lot more likely to take another one of your surveys in the future. Here are some steps you can take to get rid of survey fatigue. This one is pretty painless. Once you’ve put together the survey, take it yourself. Ask your co-workers to take it. Did you or your co-workers find the survey boring or hard to get through? Were the questions hard to understand? Anything that gives you pause during the survey will definitely cause problems with your customers. Keep in mind you already know the subject matter and the results you’re looking for. Naturally you’ll have an easier time taking the survey than a customer. If possible, run the survey on a control group. Get their feedback and revamp accordingly. Re-write the survey as many times as you need to. It should be very clear and easy for your customers to understand. This one may seem obvious, but it’s often overlooked. Customers will be much happier to participate in your survey if you explain its purpose. Customers love transparency. Make sure your survey matches what you’re relaying to the customer. If you tell the customer you want to improve your returns process but you ask them a bunch of questions about new products, you won’t seem genuine. If the customer feels you’re being dishonest or sneaking, they’re a lot less likely to lend their time to your survey. The length of your survey will depend on several factors. But no matter the length, you should let the customer know how long the survey will take to complete. And be honest. If you took the survey through a test run and spent four minutes and 59 seconds, don’t tell your customer it’s a five-minute survey. Obviously, it’s going to take them longer. If you’re not clear with the customer about their time investment or worse yet, if you’re untruthful about it, there’s a good chance they’re going to give up before the end. Now their time is wasted and so is yours. 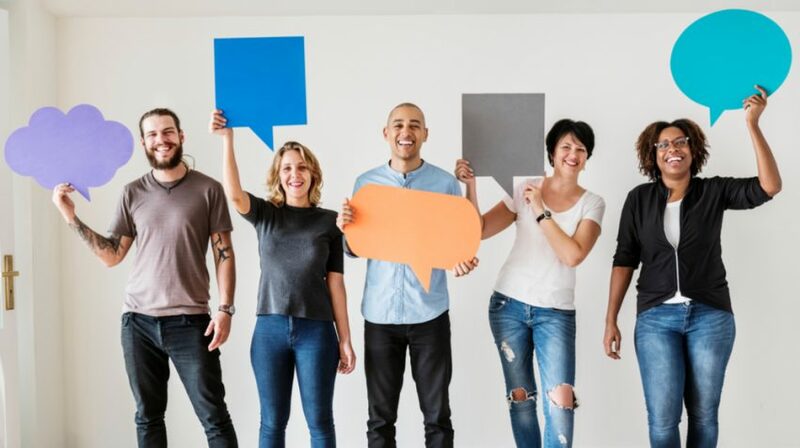 One of the best ways to show your customers you appreciate their participation is by sharing the survey results with them. Not only does the customer feel they’ve contributed to improvements in your business, they’re more likely to take another survey in the future. The first way – take action. 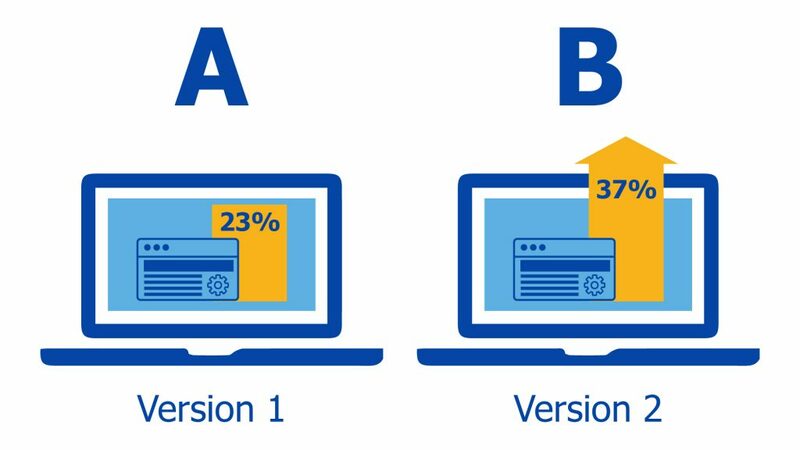 If your survey revealed that your website is too hard to use, then re-do your website. When your customers see the changes you’ve made, they can be proud of their contribution. No one wants to answer an endless list of questions. Even a short survey can seem long if your customer doesn’t know where they are in the process or what’s next. A simple progress bar lets your customer know how much of the survey they’ve completed and how much they’ve got left. When they can see the light at the end of the tunnel customers more likely to push through with valuable feedback. If they’re staring into an abyss, they might just give up. What happens when your customer reaches a survey question they can’t (or don’t want to) answer? Well, if they can’t skip the question and move on then things can go downhill pretty quick. In fact, according to a recent study, 27% of people will close out the survey entirely if they can’t skip forward to the next question. That leaves a lot of abandoned surveys on the table. Worse yet, the same study found a whopping 25% of customers said they’ll enter a random response if they can’t skip the question. 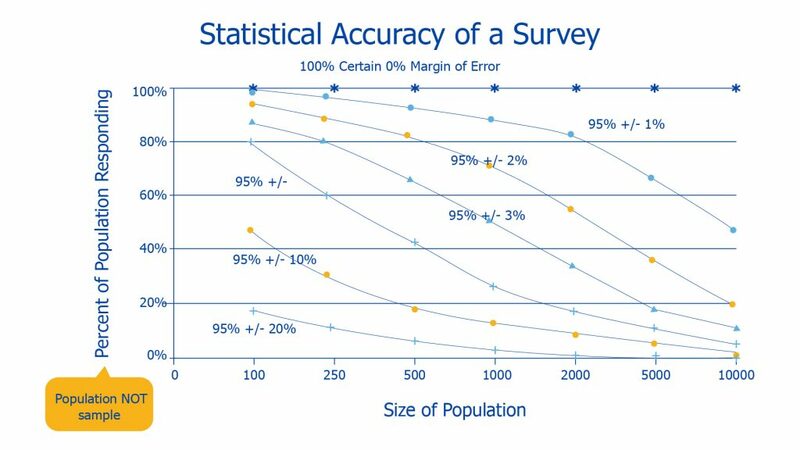 This translates to incorrect (read: useless) data in your survey results. This one is non-negotiable. Your survey must be mobile friendly. Don’t believe me? By the end of 2018, it’s estimated 2/3 of all online traffic will be via a mobile device. Read that again – two-thirds. 66.6%. There’s a good chance you’re reading this article on a mobile device. 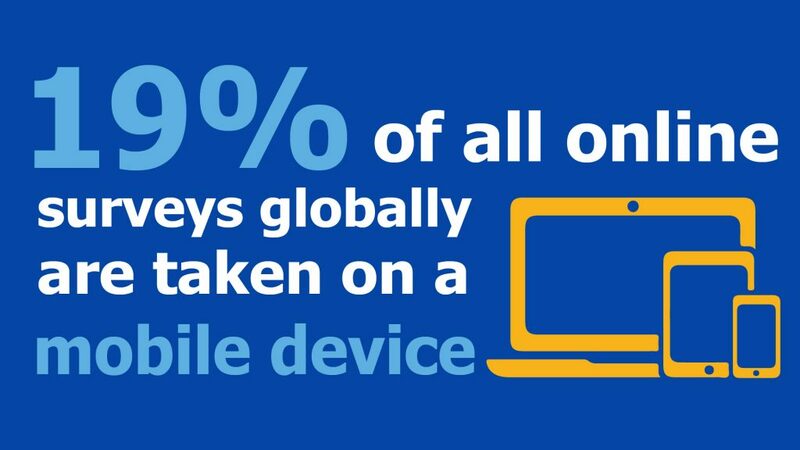 If your survey isn’t mobile friendly, you’re missing out on a huge pool of respondents. More and more, businesses are relying almost completely on market research to make key decisions. A great deal of this market research comes from surveys. Survey fatigue is making it harder to get good data. 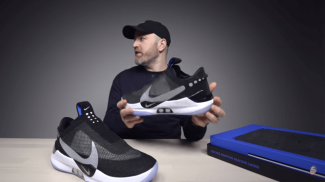 Jonathan Levitt, CMO of OpinionLab, says that he’s seen survey responses drop from about 20% twenty years ago to about 2% today. That’s because consumers are just sick and tired of taking surveys. There’s also a monetary factor. Surveys cost money – manpower to create the survey, a third-party to host the survey, manpower to interpret the results. The importance of good, solid survey data coupled with the cost involved with running a survey means survey fatigue is a real risk. But survey fatigue is still happening across every industry. We’ve learned about the types of survey fatigue and how to avoid them. What if it still happens? What does it ultimately mean for your survey results and your business? If you’re surveying your customers to death, they’ll eventually stop engaging. And a low response rate means the data you did manage to collect is less impactful. If only a tiny percentage of your customer base gave their opinions, you can’t really use that data to make overarching decisions. It’s no secret, unhappy customers are a lot more likely to share their opinion (or grievance) than a happy customer. 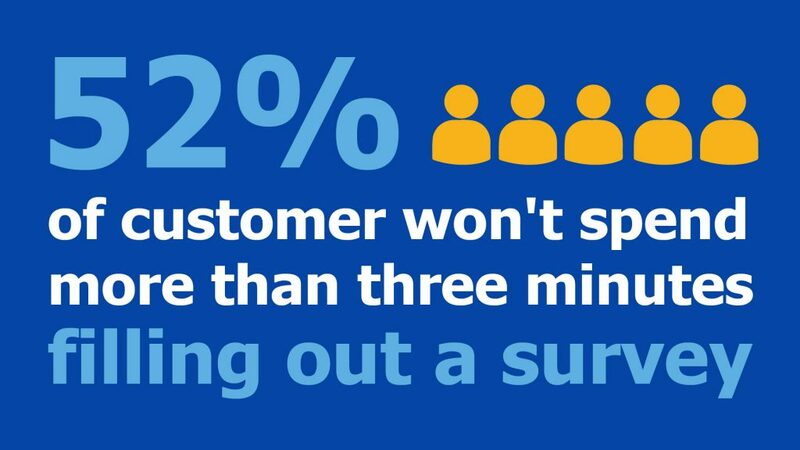 This means a happy customer may give up on your survey if it’s too long or confusing, whereas an unhappy customer will probably complete it. They’re unhappy and they want to be sure their opinion is heard, even if the survey was a pain to get through. We’ve seen how fatigue can wreak havoc on survey results. And incomplete or inaccurate survey results are useless. So why spend the time, effort, and money on a survey if you can’t use the results? Customers are delicate creatures. Too many surveys will annoy them. Sensitive survey questions will alienate them. Long or confusing surveys will frustrate them. And the list goes on. Pay close attention to the message your company’s surveys may be sending. These days, customers feel surveys are not being used to make their experience better, but rather are aimed at making more money for the company. This perception is damaging. It’s imperative consumers feel their feedback is being used to make their experience better, not yours. It seems unlikely a customer would stop doing business with you just because you sent them too many surveys. Or because they took one of your surveys and it was too long. Whatever the reason, do you think survey fatigue could really result in losing customers? It could. Your customer relationships are the whole of many parts. From their interaction with your staff to making a purchase to browsing your website. Your customer’s satisfaction relies on all these things and many more. Now if your customer has had a fantastic experience so far and they get a few surveys from you, no big deal. But what if your staff was rude, the customer’s order was fouled up, and they couldn’t use your website for help. Then they get a series of generalized surveys from you… It could be the straw that breaks the camel’s back. You might lose that customer completely. Survey fatigue is here to stay. We can expect it will probably get worse as the information age continues to grow. While we’ll never totally eliminate the fatigue associated with taking surveys, there are things we can do to avoid it. Surveys are such a popular business tool these days, there are solutions out there to help you through the process. Take Nextiva Surveys, for example. Their tools make surveys a cinch to build. Real-time results are available to you in clear, easy to understand spreadsheets and graphs. Let Nextiva Surveys handle the technical part – You focus on the best questions and the best targeting to get optimal results you can use to shape your business. Try out Nextiva Surveys for free! Contact us to take your surveys to the next level. You have to update it based on feedback as well. You can tailor the answers after.